The world is indeed a stage, and we all play many roles in our lives. Some of these roles are assigned to us, leaving us with little choice but to fill them. Other roles, however, are freely chosen. For example, we all have ethical and religious responsibilities towards our parents. We are in the roles of children, often for much of our lives, whether we like that role or not. On the other hand, there are other roles which we seek out intentionally, and often with great effort. For example, our professional roles as doctors or lawyers or teachers are roles which we chose freely. Sociologists thus distinguish between ascribed roles and achieved roles. The former are those assigned to us by society or circumstance. The latter are the ones we choose, and for which we hope to qualify. 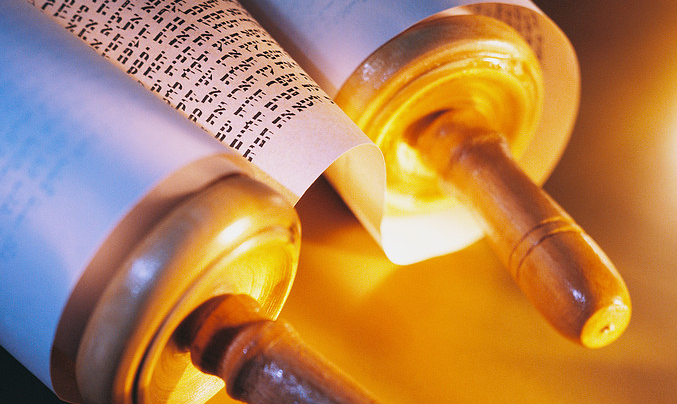 In this week’s Torah portion, Bamidbar, we read of the roles ascribed to the Levite. Persons born to the tribe of Levi were assigned certain privileges and responsibilities at birth. There were no special qualifications to be met and no titles or certificates to be earned. One who was not born into the tribe of Levi could not attain any of those privileges, nor could he assume the responsibilities of the Levite even if he sought to do so with commitment and fervor. The Torah outlines the special duties of the Levites in great detail in this week’s parsha, Numbers chapters three and four. Later in Numbers, particularly chapter 18, we read of the benefits due to them. The 12 other tribes of Israel are not neglected in this week’s Torah portion. Quite the contrary; they are listed, and their stations in the wilderness encampment are delineated very specifically. But the roles of the tens of thousands of members of these tribes are not specified. It is almost as if the Torah was telling us that, unlike the Levites, they had no ascribed roles, but were to pursue and achieve roles according to their individual motivations, ambitions, and personal predilections. Thus, the community of Israelites in the wilderness was one in which one tribe had predetermined tasks which it did not choose and could not shirk, whereas the great majority of people had great freedom of choice as to which roles in life to choose. This situation continued for many centuries, at least until the destruction of the second Temple. Even today, specialized roles for the descendents of Levi persist, albeit in a reduced and limited way. Maimonides (Rambam), however, offers an entirely different vision of the matter. He offers us an innovative idea that opens up the ascribed and predetermined roles of the Levite to everyone. In his masterwork, Mishneh Torah (Hilchot Shemita v’Yovel, chapter 13), Maimonides describes the lot of the Levite in rich and graphic detail. He stresses that although the Levites had no equal portion in the land of Israel, they did have their own towns and villages there. He even offers his personal opinion that should the Jewish people come to possess land outside the perimeters of biblical Israel, the Levites will share equally in those lands. He explains to us that the Levite is ascribed a limited social and economic role in order that he be freed to assume a greater spiritual role. It is incumbent upon him to serve God in the Temple service and to teach God’s laws to the greater community. Maimonides, in essence, opens up the closed society of the Levites. He offers for all humanity a vision of the possibility to transcend the limits defined in this week’s Torah portion. He suggests that each of us can potentially become a Levite, even if we are born to parents of other tribes. What is, strictly speaking, an ascribed role becomes for Maimonides a role that can be achieved by anyone. This is an almost revolutionary statement — but one which challenges every one of us and offers each of us an opportunity. It is not only the biblical Levite who can attain closeness to God and spiritual sublimity. We all can. But to do so, we need the motivation to assume greater responsibility; to suffer solitude; to be absolutely just and righteous; to teach others who might not wish to be taught. Then we all can achieve the benefits ascribed to the tribe of Levi.